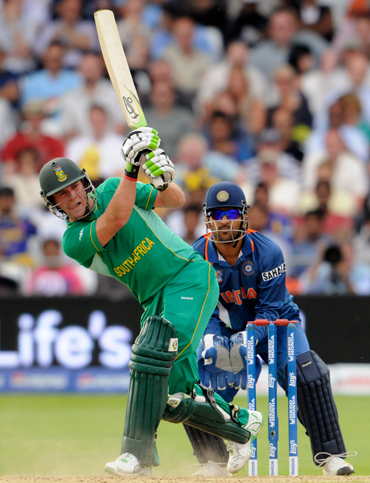 Cricket could emerge as an unlikely saviour of South Africa's World Cup soccer stadiums with the decision by Cricket South Africa (CSA) to stage a Twenty20 international at the Moses Mabhida Stadium in Durban. 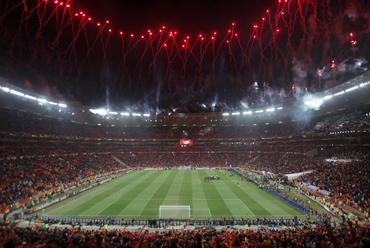 South Africa underwent a massive building programme in an effort to make the country ready to host the month-long soccer extravaganza with the construction of five new stadiums while a further five underwent varying degrees of renovation. 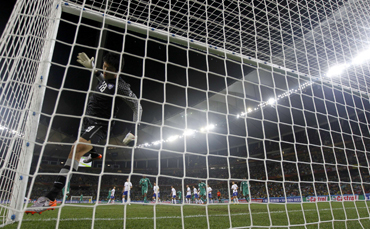 There are concerns that following the tournament that concluded with Spain lifting the trophy for the first time on Sunday, the stadiums would become obsolete. However, the decision to host a Twenty20 match between South Africa and India at the Durban venue next January could open the way for other soccer stadiums to be utilised in a similar capacity. "The game between South Africa and India is important for us to be able to take cricket to everyone," CSA chief executive Gerald Majola said. "We would like to utilise some of the soccer stadiums that were used during the World Cup to help us in that effort," he said. Majola added that South Africa could benefit by the use of more stadiums to extend the domestic cricket season with an eye on setting up its own version of the lucrative Indian Premier League (IPL) Twenty20 tournament. "We can't set up our own IPL because currently there is no window," he explained. "We would like to see if it is possible to play at the Royal Bafokeng Stadium in Rustenburg and a few other soccer grounds because we would be able to extend our season into August but it is important to see what the viability of the grounds are," he added. Currently, the Durban stadium falls short of meeting the International Cricket Council's (ICC) minimum playing area requirement but Majola said that the addition of an athletics track would help to increase the space available. Majola added that if the ground could reach ICC playing regulations, the CSA would look into gaining full Test status for the Moses Mabhida Stadium. 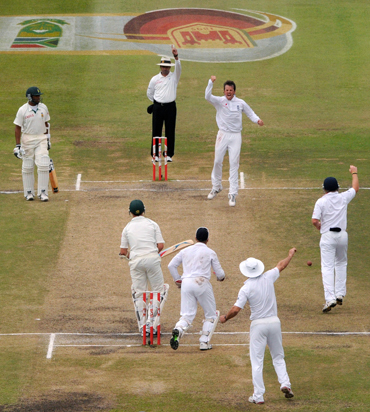 In a clear indication that more cricket could be played at the ground, the CSA has decided to build a permanent pitch at the ground as opposed to using a drop-in one for January's match. "Not all grounds can be used for Tests but for Twenty20 internationals, which attract huge grounds, it would certainly be an option," Majola said. Mike Sutcliffe, Durban's municipal manager, said that the staging of the international was part of the city's long-term plan to make the stadium sustainable. "When it became clear that we would have to build a new stadium we developed a strategy called '2010 and beyond'," Sutcliffe said. "Our first objective was to develop an iconic stadium that would make for a great soccer ground, nut we also had to break into other markets and Twenty20 cricket is a perfect sport for us," he explained. Durban already has a cricket test venue, the 25,000 capacity Kingsmead cricket ground, but it is dwarfed by the 62,760-seat Moses Mabhida Stadium.